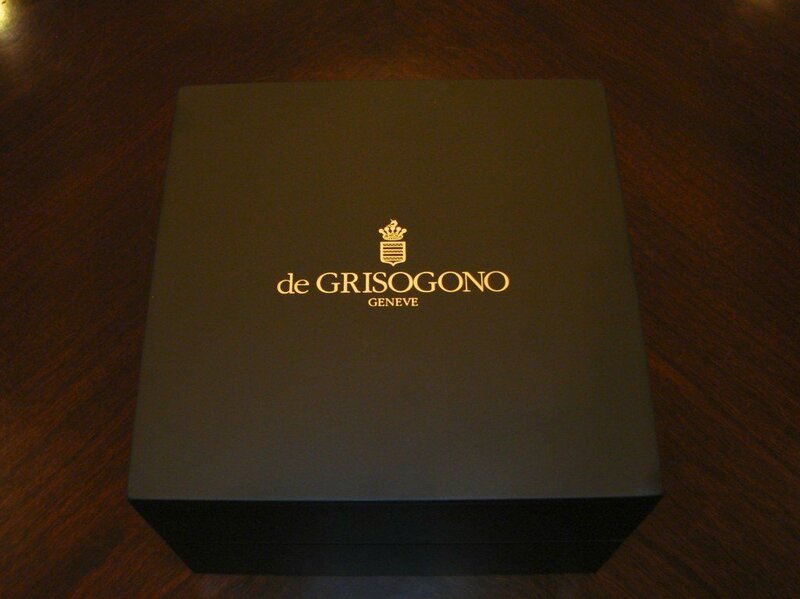 BeckerTime is proud to offer this 100% GENUINE DE GRISOGONO timepiece. 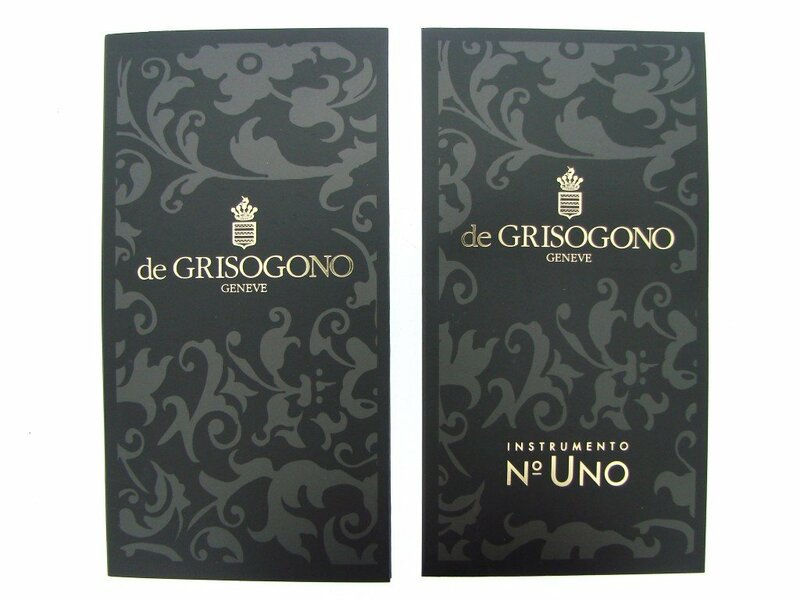 It is a Mens de Grisogono Instrumento Uno N20 Big Date Leather Watch w/Arabic Numerals that is guaranteed to impress! 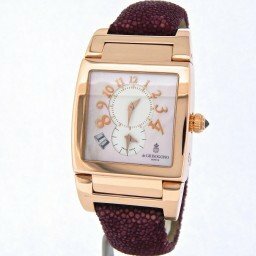 It is BRAND NEW and in PERFECT CONDITION! 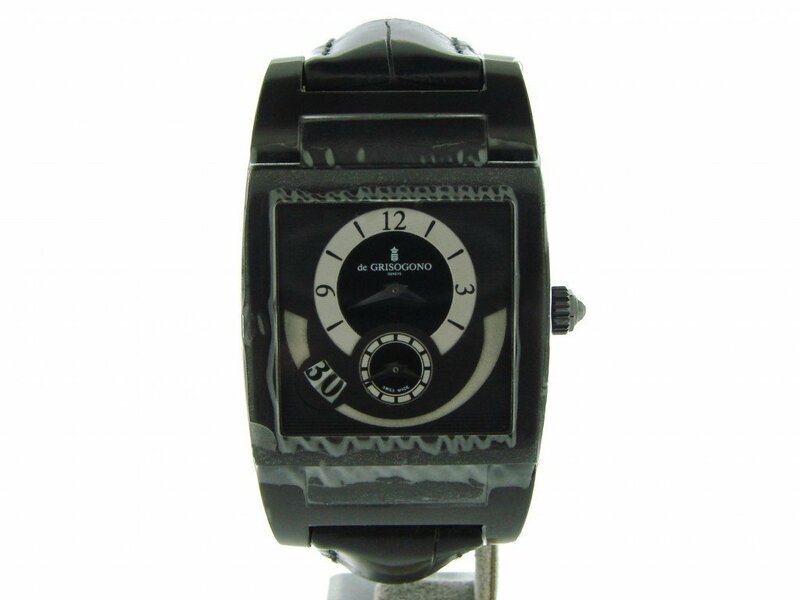 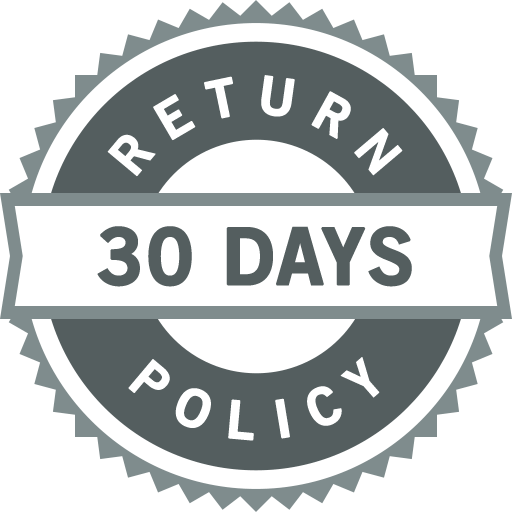 This watch comes with the BeckerTime 1 year warranty! 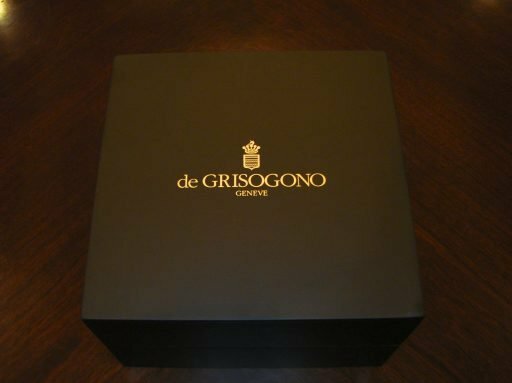 This timepiece also comes in the original de Grisogono presentation box, booklets… and that’s not all… It also comes with an extra brand new leather strap for smaller 6″ – 6 1/2″ wrists! 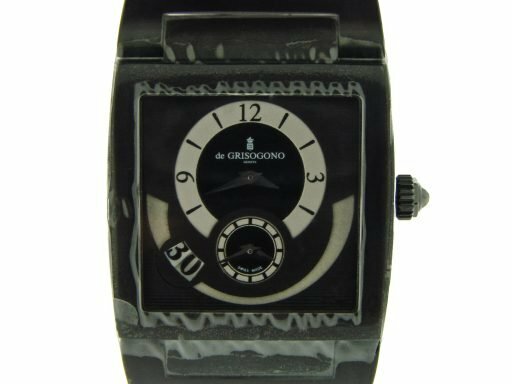 Don’t let this one get away…Buying an 100% genuine De Grisogono in this good of condition at this price doesn’t happen often…This type would sell brand new for $18,200 plus tax today! 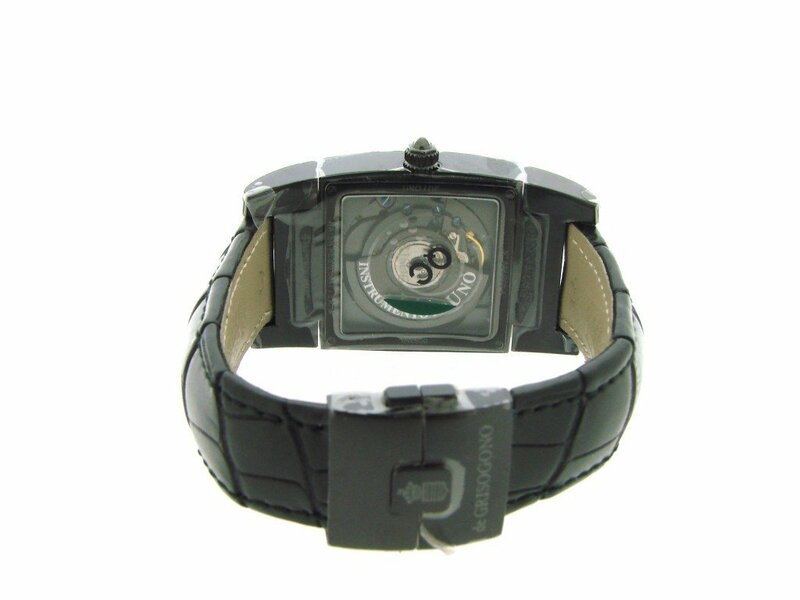 Movement Original De Grisogono automatic movement has an avant-garde all-black rhodium finishing. 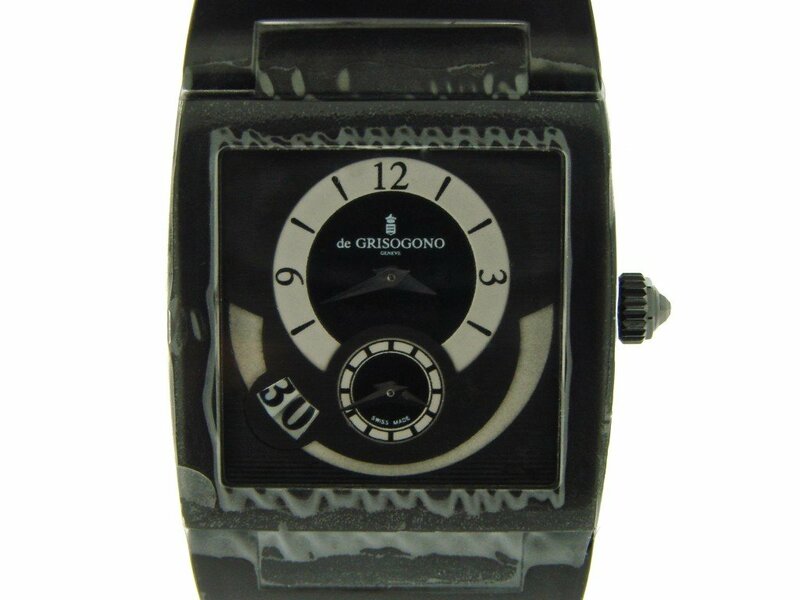 Dial Original De Grisogono black double time-zone dial with arabic markers is in pristine condition. 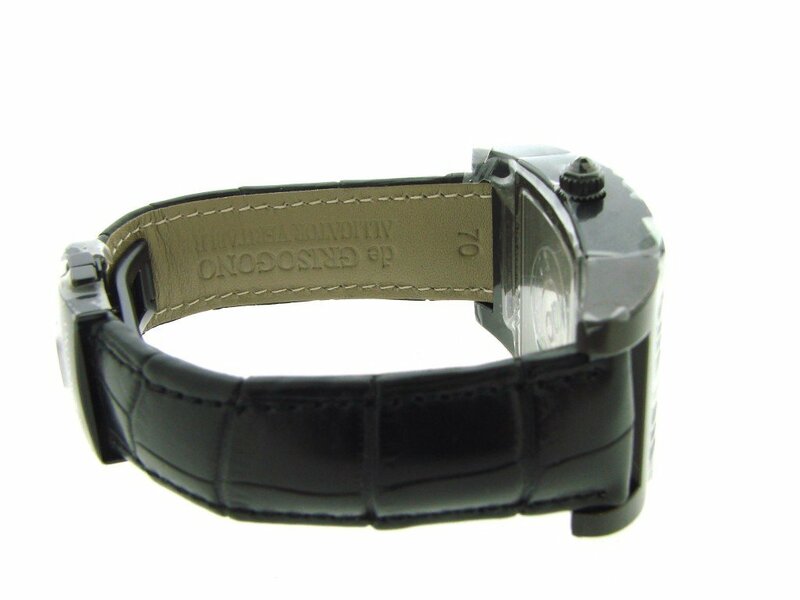 Bezel Type Original De Grisogono black stainless steel bezel. 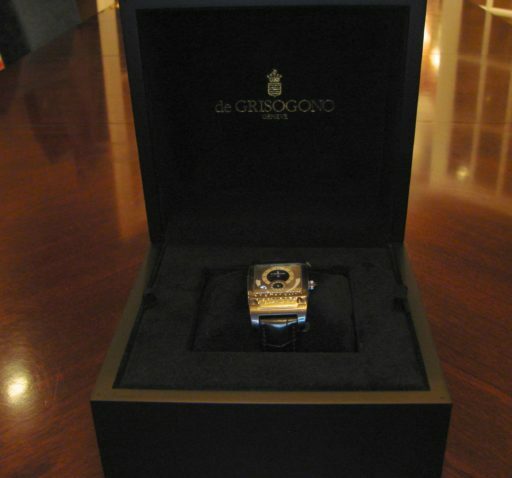 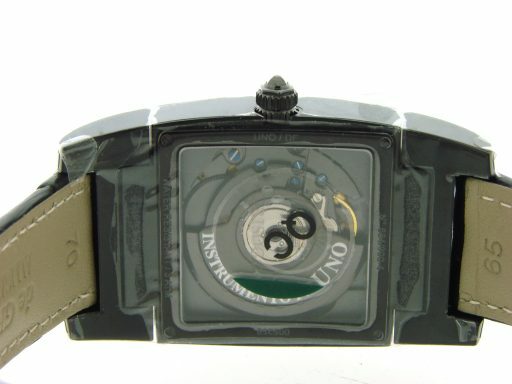 Case Original De Grisogono black stainless steel case is in perfect condition. 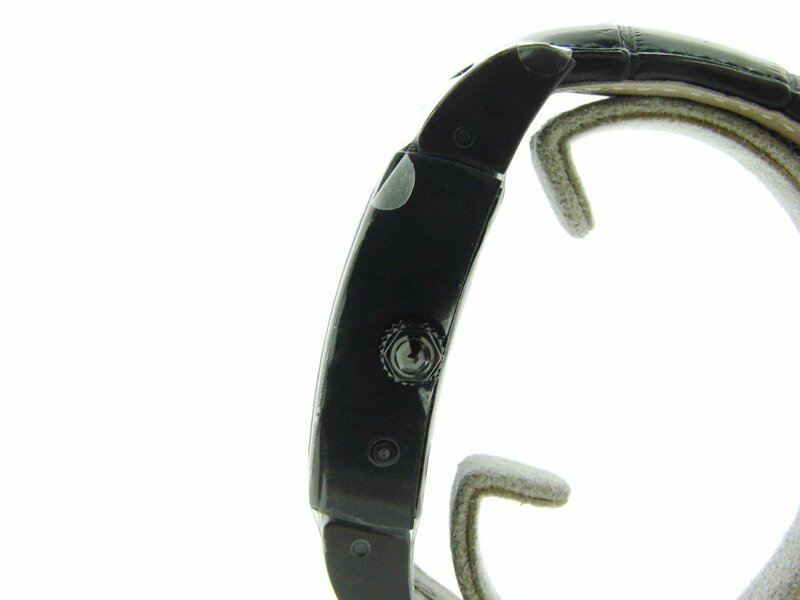 Crown is set with a precious black diamond. 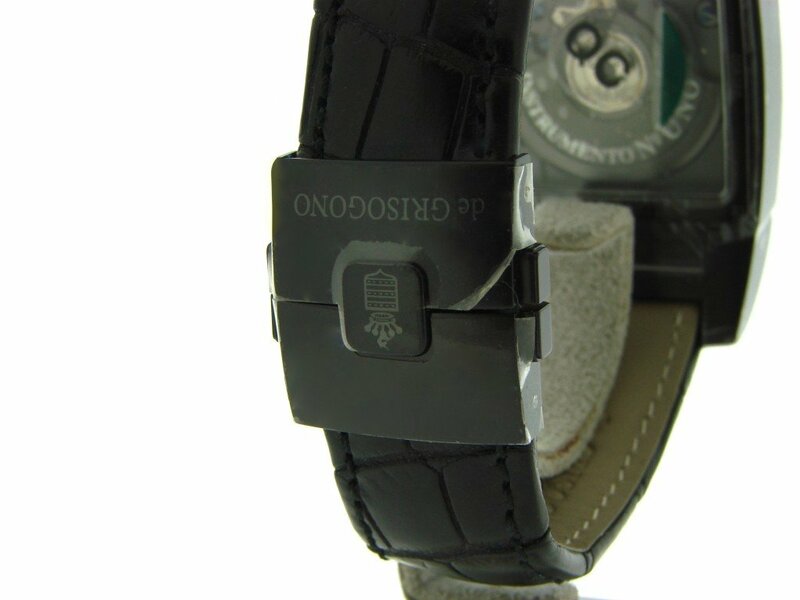 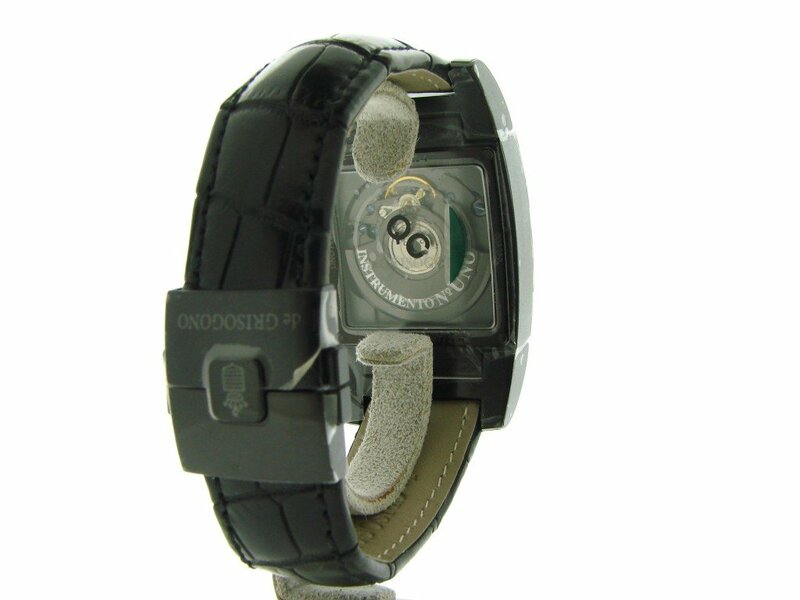 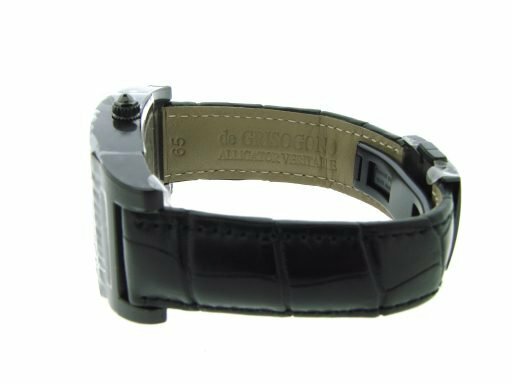 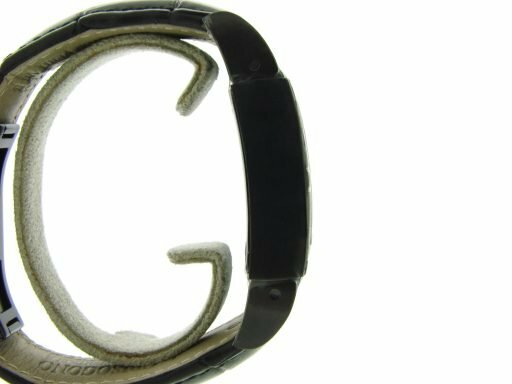 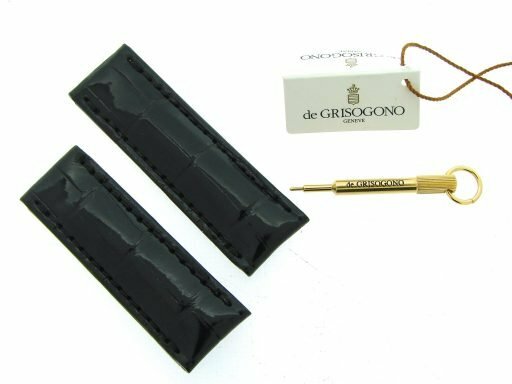 Band Original De Grisogono black crocodile leather strap with De Grisogono signed stainless steel deployment buckle is in perfect condition. Wrist Size It will fit up to a 7 1/2″ wrist. 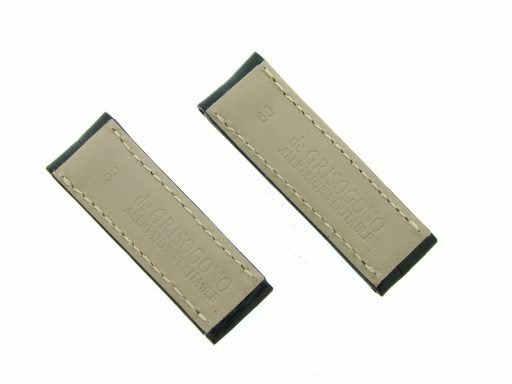 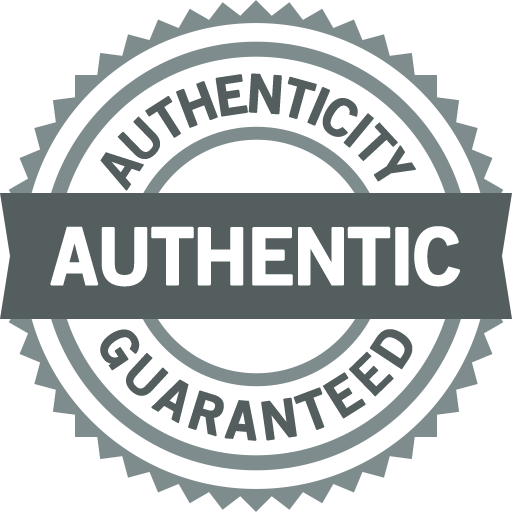 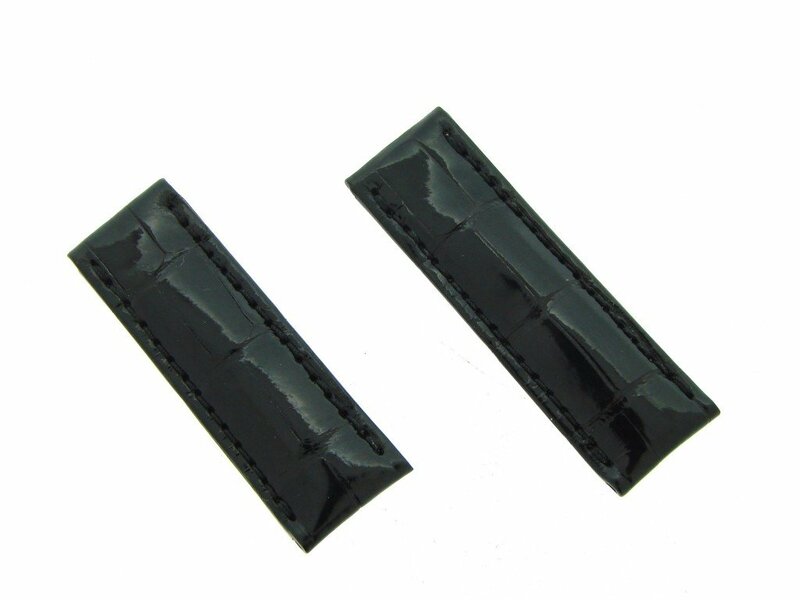 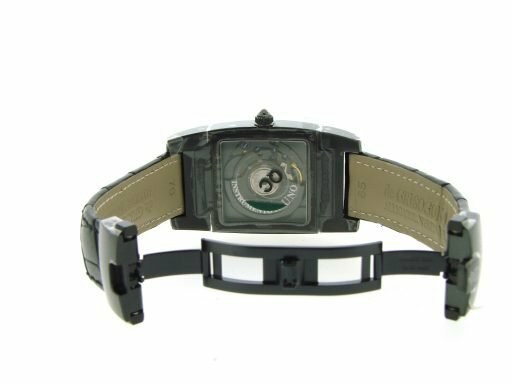 This watch comes with an additional brand new leather strap to fit a small 6 1/2″ wrist.